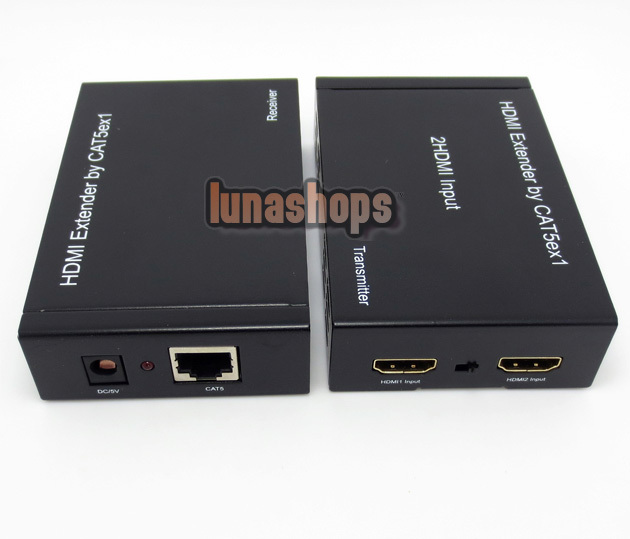 The HDMI Extender over ONE CAT5E/CAT6 is a tool for extending your HDMI signal over long distances to a compatible display. Instead of using expensive HDMI cables, your existing CAT 6 cables/sockets can be utilized to perform advanced functions like transferring Deep Color (12 bits/color) video and digital audio, with a bandwidth up to 225MHz. 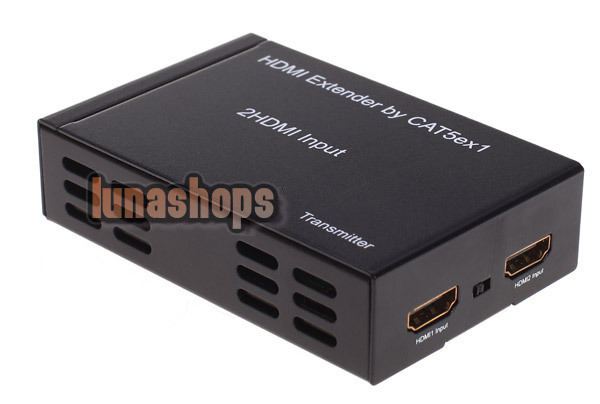 The HDMI Extender and receiver, over ONE CAT5E/CAT6 extender is your substantial HDMI extender tool. Uses one CAT-6 cable for data/DDC transmission. When transmitting a signal in 1080p resolution the CAT5E/CAT6 operating distance is 50 meters. 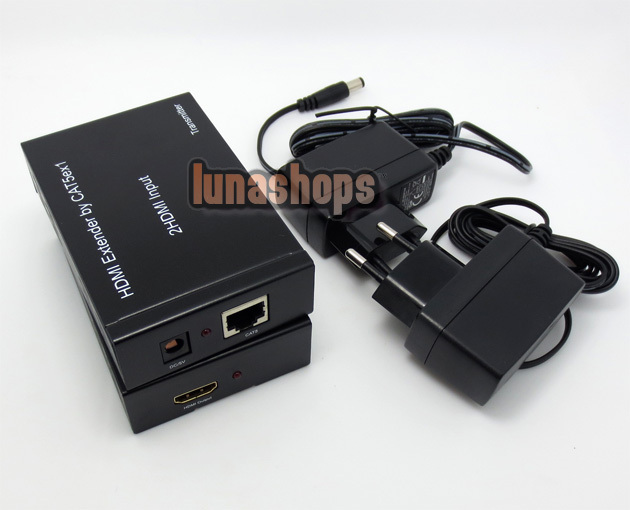 2) SW: Switch the HDMI1 and HDMI2 input port. 1) Power: Plug the 5VDC power supply into the unit and connect the adaptor to AC wall outlet. 2) LED indicator: When the DC5V power on,the indicator will be light. 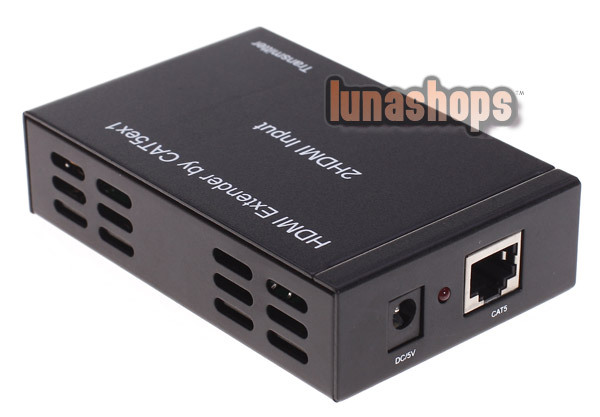 3) CAT5E/CAT6 OUT: Connect the CAT5E/CAT6 output of the transmitter with the CAT5E/CAT6 input of the HDMI over single CAT5E/CAT6 receiver. 1) HDMI Out:HDMI output port. 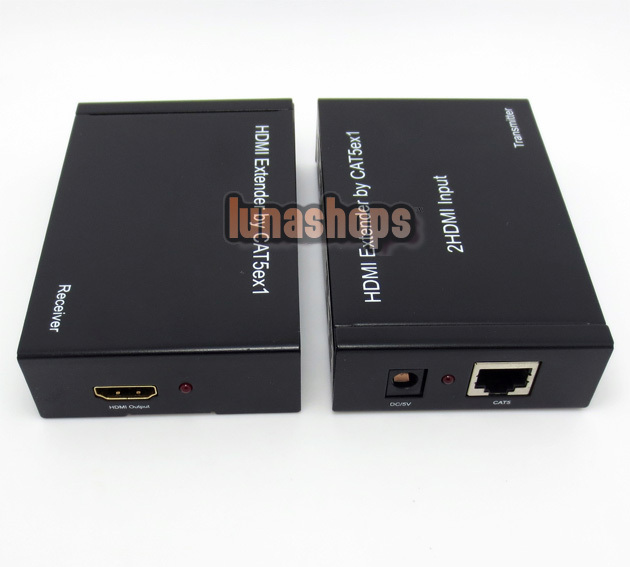 2) LED indicator: When the hdmi input signal is locked,the indicator will be light. 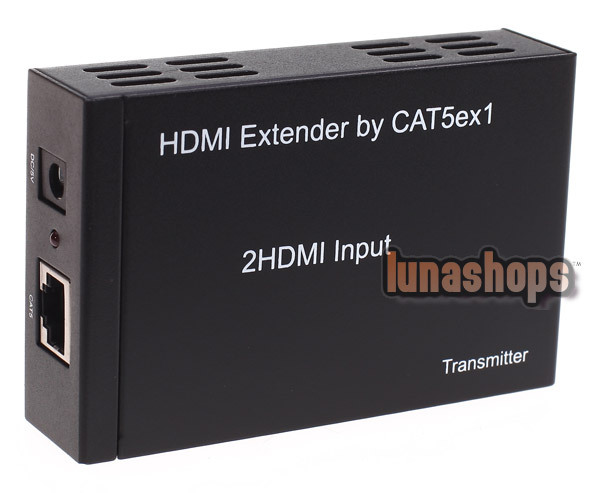 3) CAT5E/CAT6 Input: Connect the CAT5E/CAT6 Input of the Receiver with the CAT5E/CAT6 output of the HDMI over single CAT5E/CAT6 Transmitter.